“I cry about losing this.” Jim Fata is seated on his front deck looking across Negik Lake and the lush mountainous ridge beyond it. The canopy of trees above him is busy with vocal birds, even a tiny hummingbird takes a rare break on a slender branch of a nearby maple tree to say a few things, and the bush around him is lively as small creatures go about their foraging and hunting business. Jim first came to his little piece of heaven in 1994. He and his wife, Marion, were excited and anticipated the wonderful memories that would be created there with their two boys. Marion would only visit Negik Lake once before she passed away. It is a day that Jim cherishes. And it was a day that connected him deeply to that land. Jim’s front yard, Nejik Lake. On July 9th, 2014, the appeals of James Fata and 2401339 Ontario Ltd. heard by an Environmental Review Tribunal (ERT) on the matter of objecting to a proposed 36 turbine industrial wind farm on Bow Lake were dismissed. 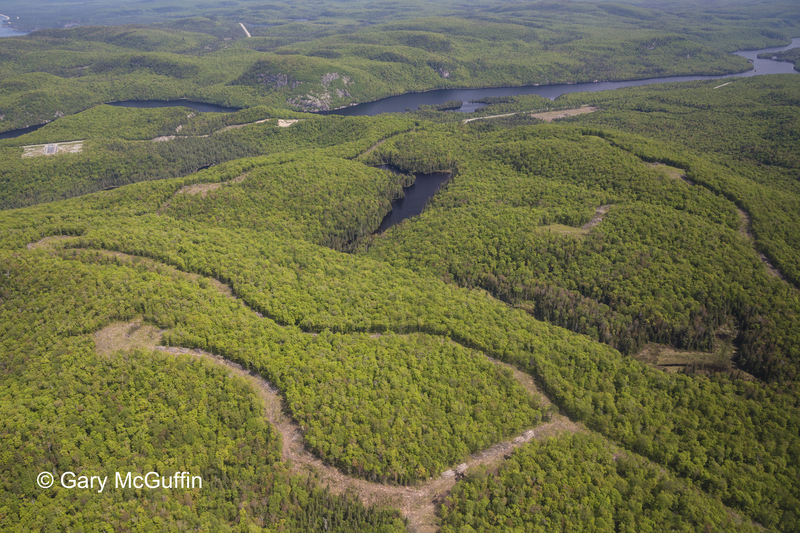 Jim’s appeal was with concern to serious harm to health and the 240 company focused their concern on the irreversible harm to the environment- little brown bats and birds, and safety- the impact of wind turbines on the Montreal River Radar Station. The ERT determined that neither appellant presented enough evidence to support their positions. That decision can be read in full on the ERT website. Bow Lake is located about 80 clicks northwest of Sault Ste. Marie. 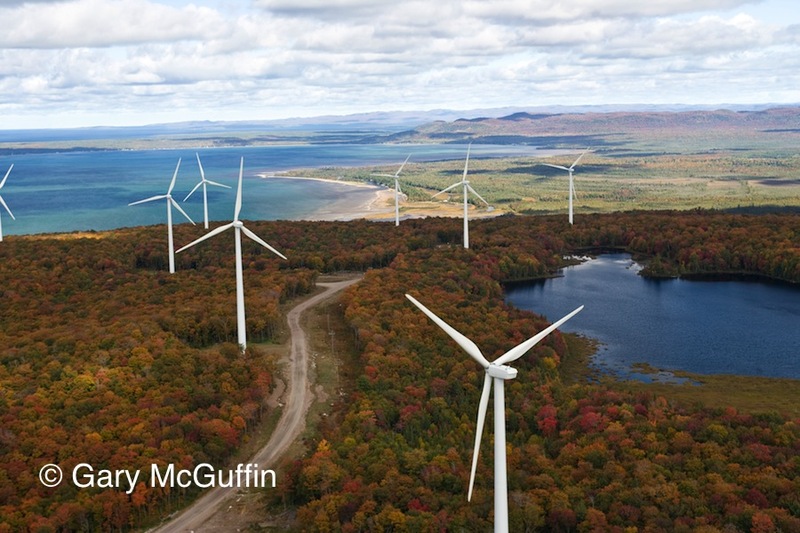 The wind farm project has been sited along the eastern edge of Lake Superior and south of the Montreal River. The project is within the sight line of Nejik Lake residents. The Bow Lake setbacks satisfy government regulation of 500 meters or greater but for the appellants and participants in the Bow Lake appeal industrial wind turbines can never be set far enough back. George commented, “The 240 Bow Lake appeal came close to winning. Based on the Ostrander Judicial Review decision the Tribunal found that in order to prove irreversible harm it was necessary for the appellant to know the size of the populations being harmed. Having found that the 240 appeal failed to prove irreversible harm the Tribunal declined to make a finding on the issue of serious harm, though it agreed with virtually all the arguments on bats submitted by the 240 appeal. 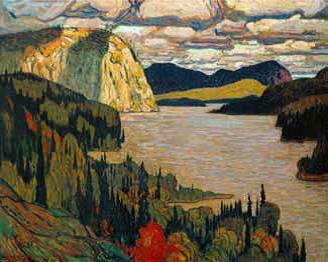 Montreal Dam. Construction for Bow Lake Wind Farm in process, Spring 2014. In 2006 the Prince Township Wind Farm was completed with 126 wind turbines installed. 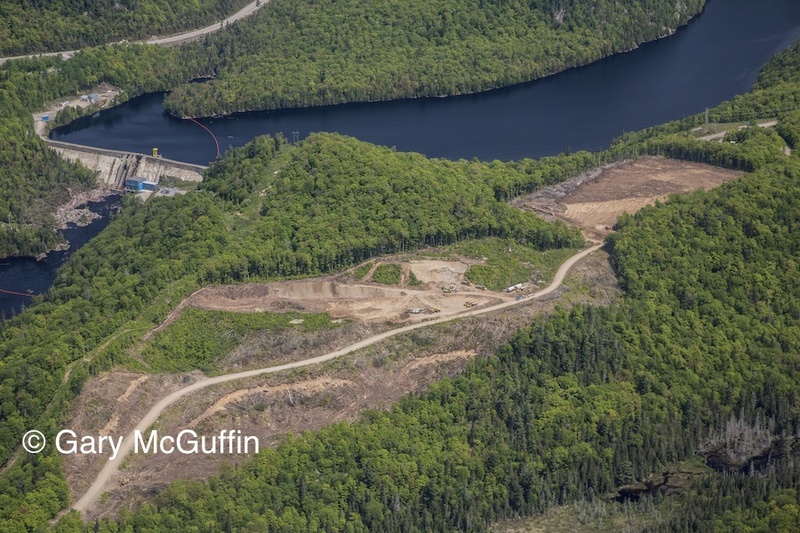 The Goulais wind farm hosts 11 turbines and the Bow Lake project will erect 36 turbines over three phases of development. There are twenty-one additional sites throughout Northern Ontario that have been targeted for wind projects by the Ministry of Natural Resources. A map of the proposed sites can be found on the LSARC website. For individuals like Jim, and small citizen groups like the 240 company, the challenges are stacked. Jim could not afford a lawyer and the 240 company was able to provide resources for only one lawyer. The approval holder, BluEarth, hired four lawyers each one tasked with specific areas of the appeal. In addition, two lawyers as well as one assistant provided counsel on behalf of the Ministry of Environment. Over $300,000 in legal fees was incurred by the 240 company in the Bow Lake review. Ninety-five percent of that amount was covered by an anonymous donor and the remaining 5% came from members of LSARC and Save Ontario’s Algoma Region (SOAR). 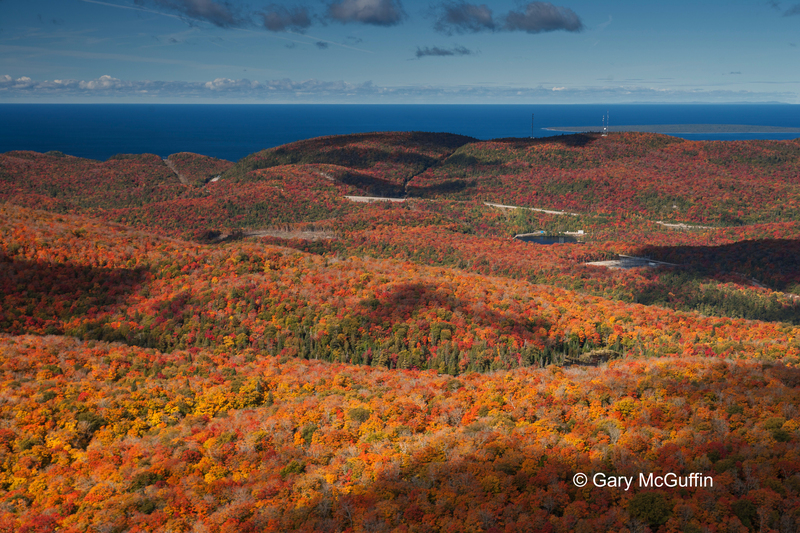 SOAR is a grassroots organization in the Algoma region that is committed to the preservation of the natural environment. In addition to the obvious disparity of financial resources so is the fact of the extreme variance of responsibility between parties. The burden of onus to prove serious harm to human health and irreversible harm to the environment is placed upon the appellant. However, the approval holder does not have to prove that serious harm to human health and irreversible harm to the environment does not exist. Tens of thousands acres cleared to move in parts for IWT’s. A close up shot of the wood left behind. Spring 2014. Days before accepting the office of Premier, Kathleen Wynne remarked that the government would not force industrial wind turbine development upon municipalities that were an unwilling host. Since that announcement approximately 85 municipalities in Ontario have self-declared as ‘Unwilling Hosts’. For people living between Sault Ste. Marie and Wawa Wynne’s public statement does not bear impact. Gillan Richards lives in Goulais River. She is a representative of SOAR and was a participant on behalf of the group in the Bow Lake ERT. Gillan focused her concerns to the matter of the impact of wind turbines on human health. Gillan’s frustration with the ERT process was amplified when just days after presentations to the ERT wrapped up, a report was released by Dr. Alec Salt, that took the position that human health can be affected by the low frequency and infrasound produced by industrial wind turbines. Gillan submitted the report as evidence in her final statement to the ERT but it was rejected on the grounds that the information was not addressed in her participant presentation. Perhaps adding insult to injury in the ERT’s dismissal of the Bow Lake appeal is that the industrial wind turbines to be erected in Northern Ontario are already out-of-date technology. Saphon Energy specializes in the research and development of wind technology. The cleantech company developed a bladeless wind turbine – a significant contribution to wind technology because it eliminates the human health affects created by low frequency and infrasound produced by spinning blades and reduces harm to bats and birds. Claims that the bladeless technology is more efficient and less expensive are attributed to energy production not reliant upon large moving parts. In a chapter from the Ontario Wind Performance journal it is explained that energy produced in Ontario is stored on one grid whether it is produced from coal, hydro or wind. When the grid is overloaded energy is exported. Knowing what electron of energy came from what source is impossible to know but energy generation can be paralleled alongside energy export from the grid. What is observed is that when there is a spike in wind production there is also a spike in the exportation of energy from the grid. Ontario does not have the ability to store surplus energy once the grid reaches full capacity. When the grid is overloaded energy must be exported. Exported energy from Ontario is sold to Quebec or the U.S.A for almost a third of the cost to produce wind energy. 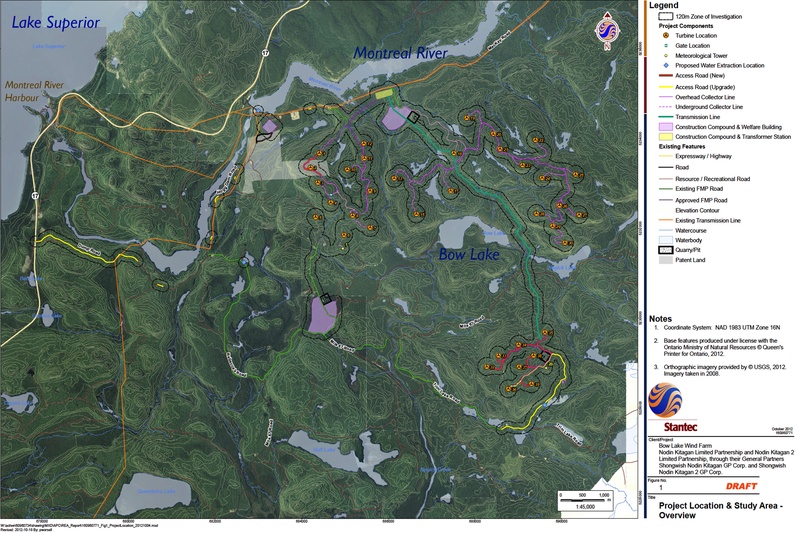 Below is the site map for the Bow Lake Wind Farm. Each orange dot represents an IWT. Jim turn’s his ahead away from the landscape, taking a moment to steady himself. When he refocuses his gaze across Nejik Lake his cheek is wet from one tear that made it past his tightly squeezed eyes. 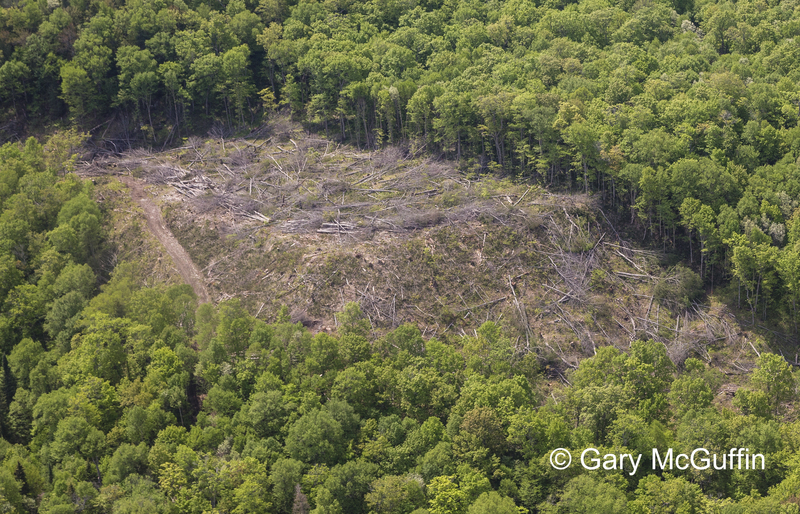 Many opponents of the installation of industrial wind turbine projects express that, especially in Northern Ontario, there is a devastating loss to the natural landscape. It is a viewpoint that Joanie and Gary McGuffin are passionate about. The couple has actively dedicated a lifetime to the conservation, study and education of our precious water resources and our magnificent northern landscape. Joanie spoke as a participant at the Bow Lake ERT. 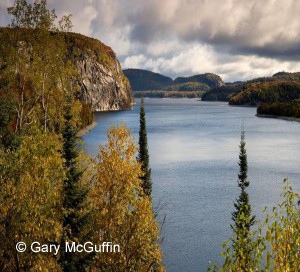 Seven years ago, Gary and Joanie, accompanied by their colleague, Michael Burtch, set out into the untamed territory of the Algoma district in search of the sites where the internationally renowned Group of Seven painted. To date the trio has located, and Gary has photographed, over 400 spots where the Group painted.